Facebook founder Mark Zuckerberg has described Nigerian jollof as delicious after tasting the meal for the first time during his visit to Africa’s most populous country earlier this week. The 32-year-old billionaire, however, revealed he had been cautioned by his close Nigerian friends not to compare Nigerian jollof to that of other countries. The caution stems from the fact that there has been an ongoing debate between Nigerians and Ghanaians over which country’s jollof tastes better. 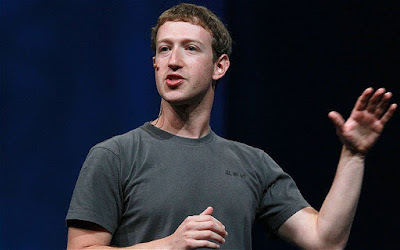 The Facebook founder’s visit to Nigeria on Tuesday August 30 is his first to sub-Saharan Africa. His first stop was a local innovation centre and tech hub in Yaba, known as Nigeria's Silicon Valley. In a speech to explain the purpose of his visit, Zuckerberg said: "This is my first trip to sub-Saharan Africa. I'll be meeting with developers and entrepreneurs, and learning about the start-up ecosystem in Nigeria. The energy here is amazing and I'm excited to learn as much as I can." Jollof rice is one of the most common dishes in Western Africa consumed in Senegal, The Gambia, Nigeria, Sierra Leone, Liberia, Togo, Cameroon, Mali and Ghana. The dish consists of rice, tomatoes and tomato paste, onions, salt, spices such as nutmeg, ginger, Scotch bonnet and chili peppers. Optional ingredients can be added such as vegetables, meat or fish. Due to the tomato paste, the dish is always reddish.